An ideal addition to any tool kit or emergency response pack. 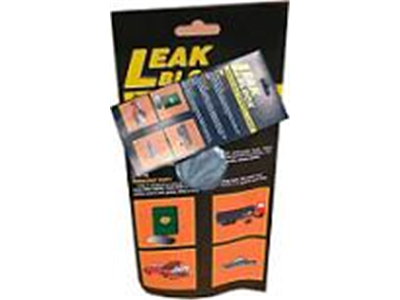 This single use plugging putty can be used to seal leaking holes in tanks, drums and pipes. Use the puck as a sealing gasket, on pipework reinforce with tape to hold in place. Will seal drums leaking oil, coolants without the need for surface preparation. Used by Spill Teams across the world, this product gives an instant seal on both horizontal and vertical surfaces. Mouldable, the product can be linked together by using a small overlap. Each rug includes a reinforced core which prevents lost of integrity across large holes and grids. 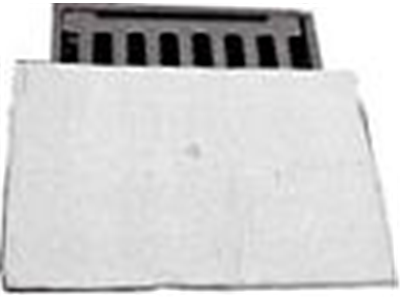 The mats can be taped or strapped in place for aditional strength when sealing pipes or tankers. Packed in boxes of four mats, leakblock rugs are individually plastic wrapped to aid shelf life (one year) and include preservative and anti-freeze allowing use all year.